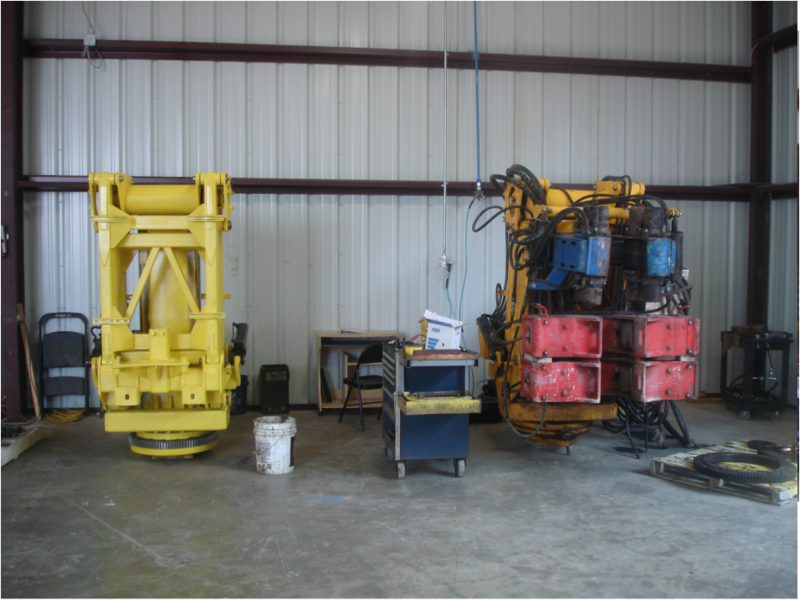 IR-3080 Iron Roughneck: One unit is being built while one was just brought in for repair. OPI performs a full range of tests to help diagnose any operational issues the Iron Roughneck has. During a complete rebuild, the IR 3080 Iron Roughneck is completely torn down and sandblasted to perform a thorough weld inspection. Further inspection of all critical areas is performed and dimensions are taken to factory specs where necessary. Industrial grade paint is then used to protect the Iron Roughneck in harsh operating conditions. Full hydraulic and electrical operational tests are performed to ensure proper working conditions. OPI Technicians are available for installation assistance, operational instruction and troubleshooting support. OPI also performs on-site IR-3080 annual inspections. If replacement parts are needed, Contact us and we can help you get the correct parts shipped to you directly from OPI.